Slim Down Stiftungsfest competition a great success so far The first annual competition Stiftungsfest Slim Down has been a big hit with area residents. 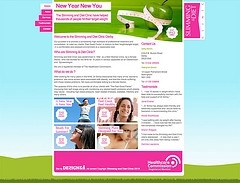 On Sunday, 25 April, the first weighed 27 people and everyone lost weight. More weighing was scheduled for Monday.